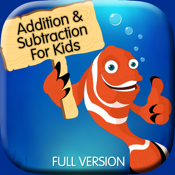 This app is a Full Version of "Addition & Subtraction for Kids". There is no In-App purchase in this app. This math app is for parents whose kids are in 1 or 2 grade or in the age group 03-6. 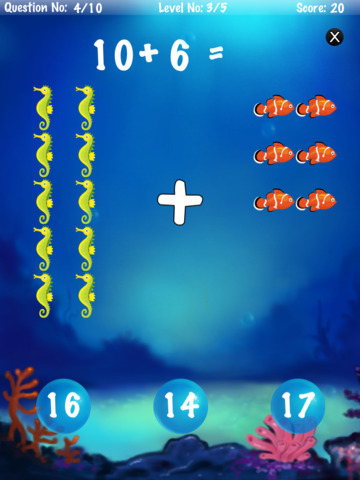 Learn addition and subtraction underwater with fishes. Small kids can easily practice their math skills - addition and subtraction - with this educational game. - Learn the basics of addition and subtraction. 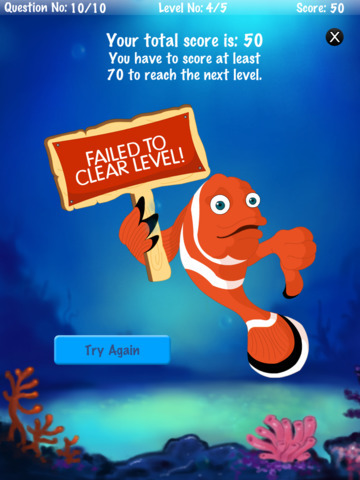 - Perfect their counting skills by keeping their fingers on the fishes that appear on screen. Every question and answer is spoken aloud by the background voice. Thus the child also learns to associate the numbers with their names. - Random new questions, whenever you replay.